We're sure you've heard the old SEO adage, "What's the point of having a website if no one can find it?" Well there's a new maxim for today's competitive online business world that asks "What's the point of having all that traffic if no one's buying anything?" If your site visitors can't easily navigate your website or quickly understand what it is you're trying to sell, they'll move on to your competitor's site, almost instantly. No one has the time or energy to have to work at buying something from your site; you need to make the process as simple, obvious and painless as possible. Conversion Rate Optimization does just that. It is the process of improving sales or lead generation from your existing traffic through testing multiple facets of your website, from design, image portrayal and site layout to sales messages and calls to action. 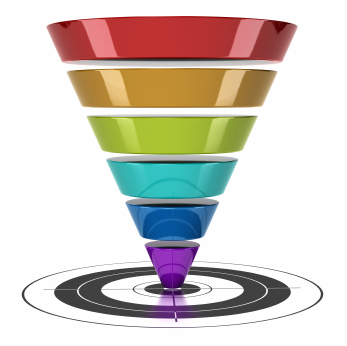 It also entails simplifying and streamlining your sales funnel by removing any potential hurdles that may derail the purchase process. CRO is not about investing more money into attracting more traffic; it is about squeezing the most out of your existing visitors through simplifying and enhancing the customer experience. Pinpoint has helped dozens of companies like you, maximize their website's profitability through careful analysis and optimization of the purchase funnel. Contact us today and find out how we can help you get the most out of your web property, vastly improving your conversion rates and improving your bottom line almost overnight!